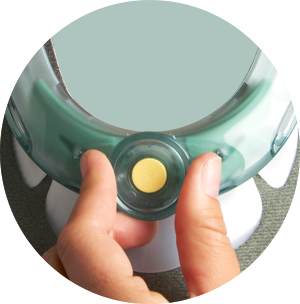 The Vista® Collar from Aspen improves patient care while saving time, money and storage space. 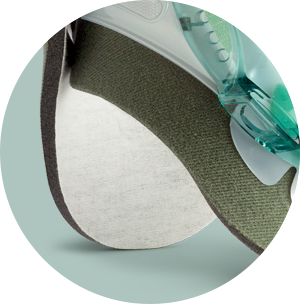 It features Aspen’s proven cotton-lined pads designed to support proper skin care by reducing patient contact points in the occipital area. 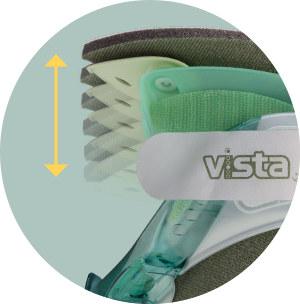 And with its innovative height adjustment technology, the Vista Collar is really six collars in one. The right size is always at hand, reducing storage and inventory costs while improving patient care. Patented sizing system offers six height adjustment settings to easily accommodate a wide range of anatomies and allows easy adjustments on the patient. Simply pull and turn the Height Adjustment Dial to select one of six height settings. Proven cotton-lined Aspen pads wick moisture from patient’s skin while clickable polyurethane foam assures optimal pressure distribution. By incorporating six sizes in one collar, the Vista Collar eliminates the cost of storing multiple sizes, frees up valuable inventory space, and eliminates SKUs. 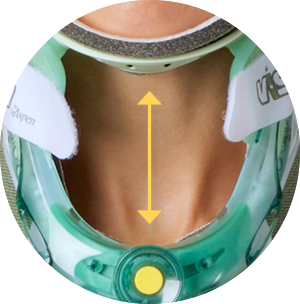 The Vista Collar also helps reduce the waste associated with sizing errors and eliminates the need to change collars due to sizing as patients become ambulatory.